Regiment/Catrawd: 15th Battalion Royal Welsh Fusiliers. Service Rank and Number / Rheng gwasanaeth a rhif: Private No. 22194. Country of Cemetery or Memorial / Gwlad y fynwent neu gofeb: Somme, France. Killed in action on Saturday 22 June 1916 during the Battle of the Somme, aged 20 years. John Edward Beech was born in Rhyl, Flintshire during 1896. He lived at 14 Clwyd Street, Rhyl with his elder sister May Beech, born 1894 and his younger sister Elsie Irene Beech born 1899. His father was Edward George Hope Beech, who died in 1900 when John was 4 years of age. His mother was Mary Dodson Beech (nee Hughes). The Beech and Hope families were well known in the Rhyl area at that time. The Beech family owned a Bill-Posting business in the town, also a large china and glass shop. John’s great grandfather was Edward Hope, one of Rhyl’s earliest residents and at one time Keeper of the town’s Market Hall. The 1911 Census tells us that family were still living at 14 Clwyd Street, Rhyl. Mary who is now 40 years of age has married her former lodger, Harry Chapman aged 33, who is a Coach Painter. Also living there at that time was Mary’s mother, Mary Hughes aged 70 and her brother John Hughes aged 30, who was employed as a House Painter. May, John Edward and Elsie Irene Beech were still living in the family home. John Edward Beech was employed as an Apprentice Gentleman’s Outfitter. Mary and Harry Chapman now have three children – Doris Chapman aged 9, Harry Chapman aged 7 and Enid Chapman aged 5 years. During April 1915 John Edward Beech enlisted as a Soldier in the 15th Battalion, Royal Welsh Fusiliers. He was posted to France on 3 December 1915, where he joined the Battalion. He was killed in action on Saturday 22 June 1916, just three weeks after Commonwealth Forces launched an offensive in the Somme. The preliminary bombardment intended to demolish most of the German defences had lasted seven days, but made little impact. Consequently, the Allies suffered heavy casualties. John’s body was never recovered. The name of John Beech as shown on one of the panels of the Ring of Remembrance at Notre Dame de Lorette. 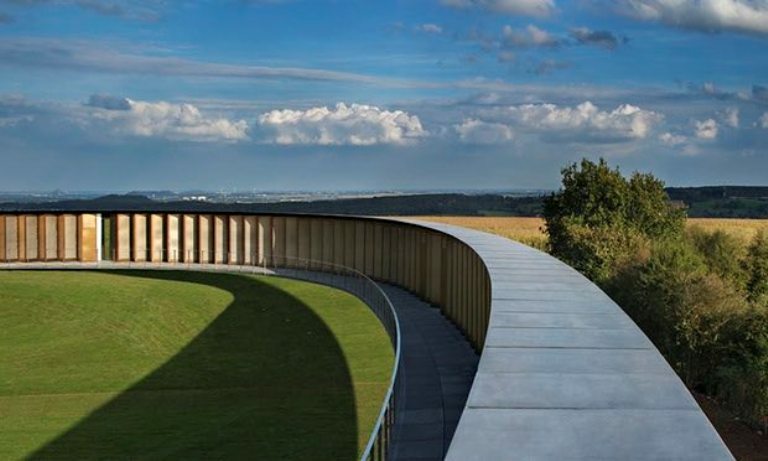 The Ring of Remembrance – Notre Dame de Lorette. The Elliptical War Memorial at Notre Dame de Lorette which shows the names of 580,000 soldiers who were killed in Northern France during the First World War. 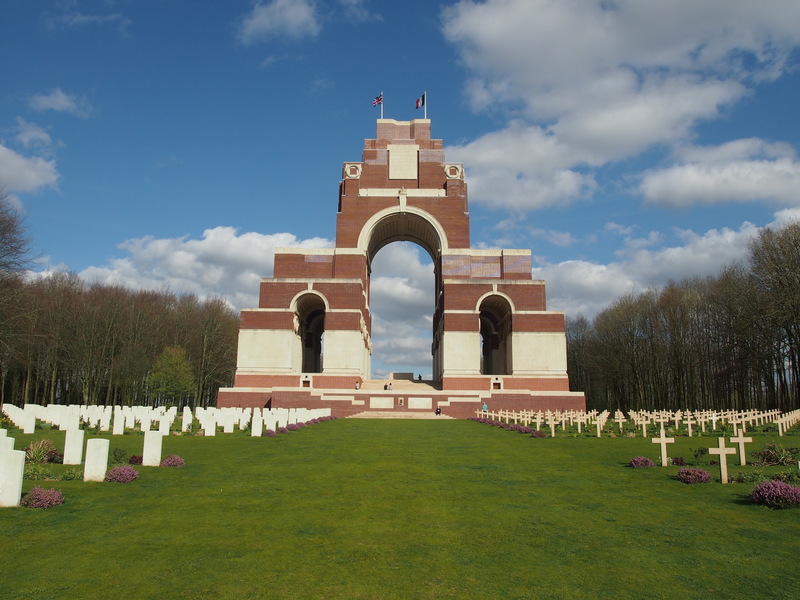 Photograph of Pier and Face 4A at The Thiepval Memorial, France showing the name of John Edward Beech. Cymru Newspaper – Friday 18 August 1916. The last few days have brought sad news from the fighting lines to so many Rhyl families, the number of Rhyl men now reported killed being about fifty. Private Edward Beech, London Welsh, son of the late Mr Edward Beech and Mrs Chapman, Clwyd Street is reported killed, while three of his bosom friends – Private Over (Cousin) and Horace and Albert King, with whom he was associated in the English Wesleyan Sunday School and the Boys Brigade have been wounded. On 20 December 1916, a payment of £9.4s.6d was made by the War Office to his mother Mrs Mary Dodson Chapman, this being monies owed to her son. On 28 February 1919, a further payment, which was recorded as a War Gratuity of £7.10s.0d was also made to her. He is also remembered on a Remembrance Plaque at The Royal Alexandra Hospital, Marine Drive, Rhyl, Flintshire, the North Wales Heroes Memorial Arch, Deiniol Road, Bangor and he is commemorated on the family headstone in Rhyl Town cemetery. There is a Flintshire Roll of Honour Card for John Edward Beech at the County Archives Office, Hawarden, Flintshire which is undated and signed by a Mr John J Jones.